This is how you impress customers and partners with your performance on stage! presono not only helps you to raise your presentations to a new level, but also simplifies finding and managing your content throughout your company. Every day presono writes success stories together with strong partners and customers. 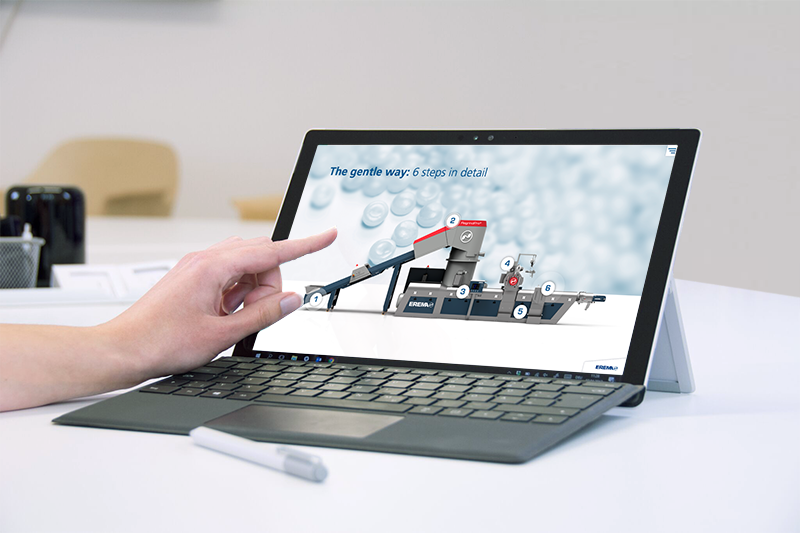 EREMA relies on presono to provide the entire sales force with the entire portfolio of information on its products and services and to be able to respond interactively to customer needs. Both at trade fairs and in direct sales and sales with partners. 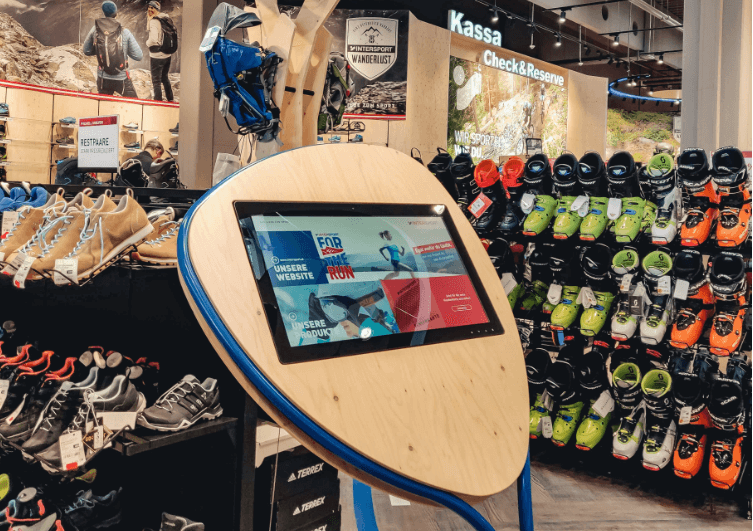 Intersport uses the kiosk mode integrated in presono and the central manageability of the multimedia content to offer your customers a very special shopping experience on the self-service touch displays at the POS. 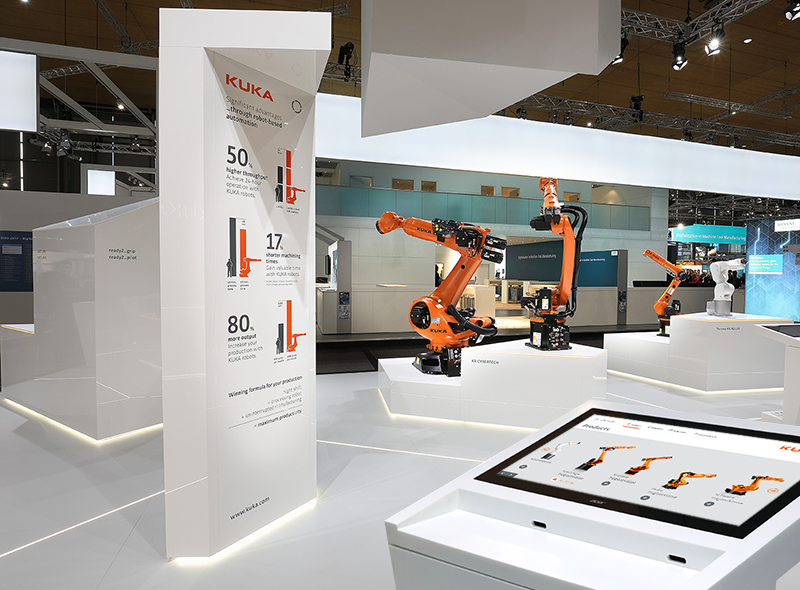 KUKA relies on presono's integrated KIOSK fashion for its trade fair appearances and can offer visitors to the trade fair more than just a multimedia experience, but also filter the most interesting products based on the analysis possibilities. Through our close partnership with AWS, we guarantee a maximum scalable, high-performance, secure and modern infrastructure.